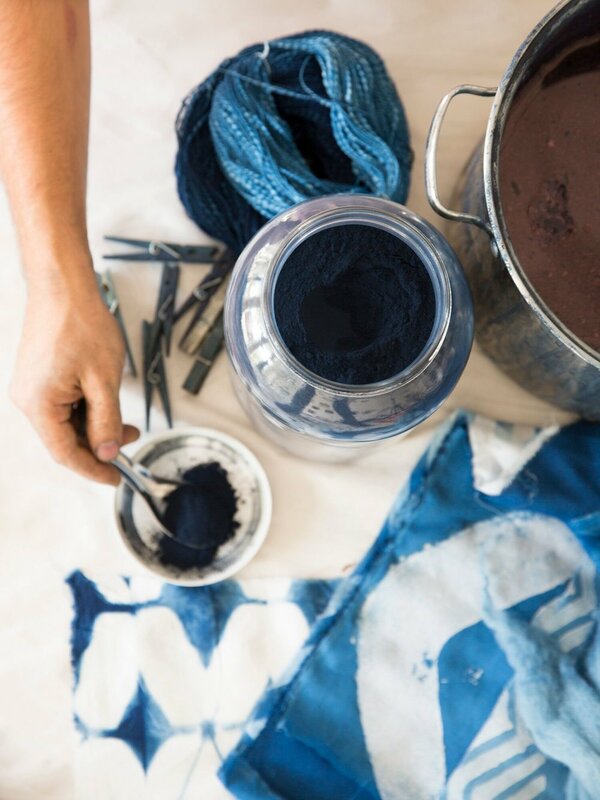 We are so excited to be hosting textile designer Graham Keegan from Los Angeles, CA on his Spring Indigo Tour. Graham advocates for the use of natural color by distributing dye plants, seeds, books and kits. He specializes in print design using traditional block-print and hand cut stencil techniques. His prints are used by boutique designers and international brands for garments, home goods, accessories and wallpapers. • Free seedlings for your garden, learn to grow your own dye.